Argi is an Exercise Science graduate with a Business background from Concordia University. She has worked as a personal trainer, fitness evaluator, and lecturer since the early 2000’s. 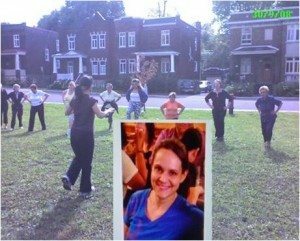 In 2009, she specialised in seniors’ fitness and fall prevention, and also completed her Moksha Yoga teacher training. She spends her days animating seniors’ classes in various community settings where she fuses elements of fall prevention, yoga and body awareness and is a member in the “Simone de Beauvoir institute for women’s studies”.